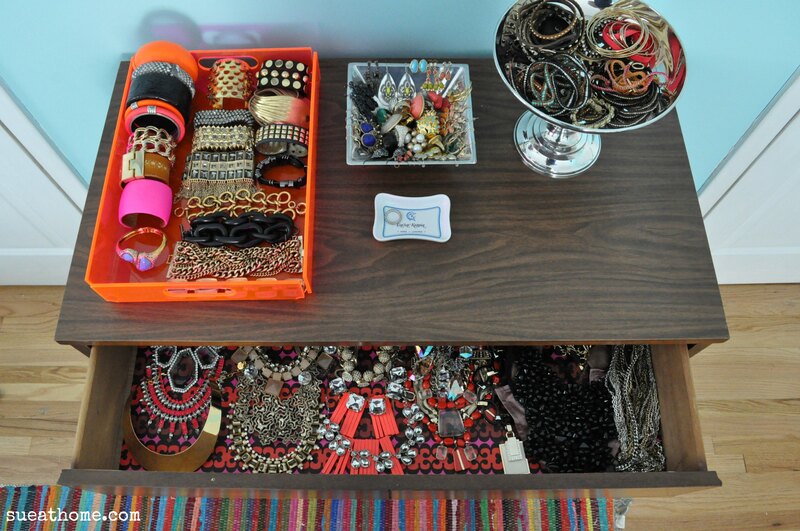 Remember awhile back when I showed you my jewels and how I keep them all corralled? (Don’t worry–I’m not quizzing you! I’ll give you a reminder.) 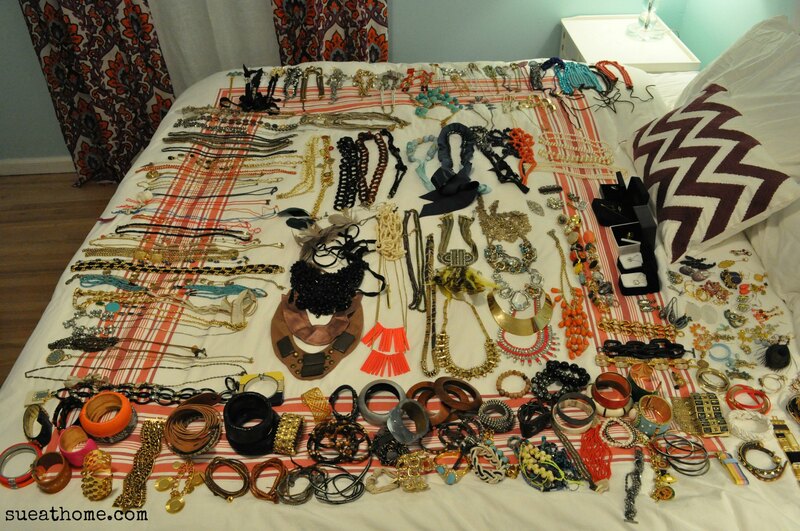 Here’s the landscape: Cocktail rings and dangly earrings were in the little square bowl, bracelets and long chains were in the orange lucite tray, and chunkier necklaces and a few more bracelets were in the top dresser drawer. It’s interesting to see how trends change. Right now, I’m wearing a lot of bracelets with either a shorter collared necklace or a long chain necklace. A year or two ago, it was all about a chunky necklace and a cocktail ring. Five years ago, I always wore huge bangle bracelets. 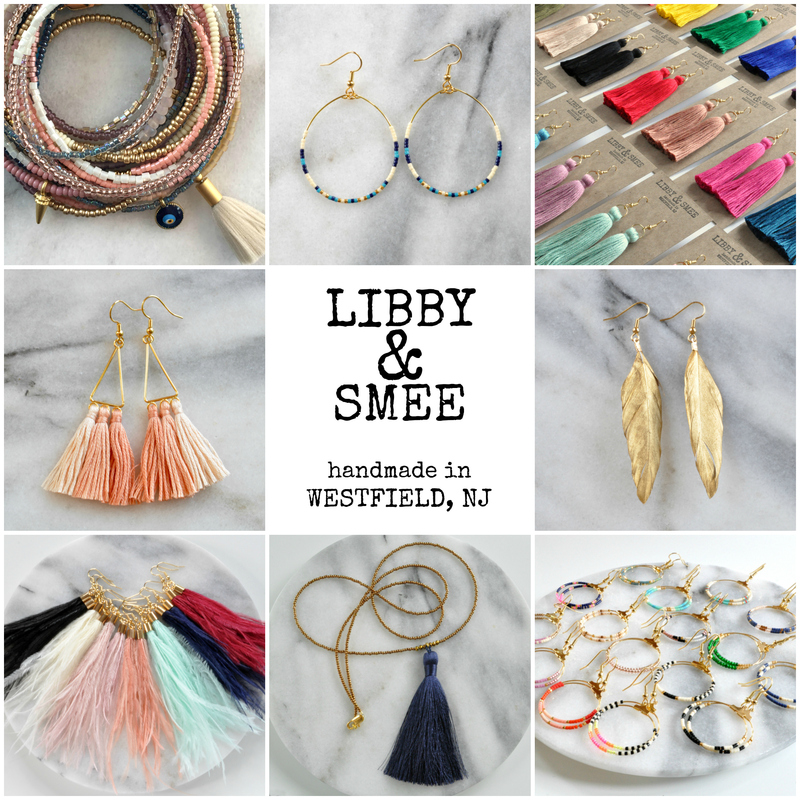 And a decade ago, I would never leave the house without a chandelier earring. But I do like to mix it up so I want to keep some options from each group available and store the rest away–but not so far away that I can’t see it or find it when I want to. 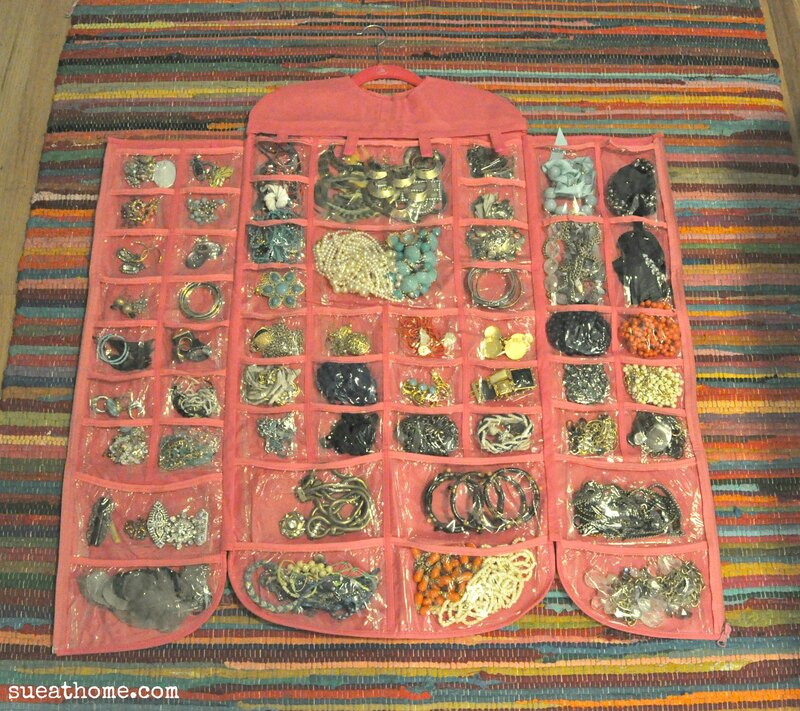 This time I put only bracelets in the lucite tray, kept earrings and rings in the square bowl, really loaded up the drawer with lots of chunky necklaces, and added a silver compote that I’ve had forever but haven’t been using. 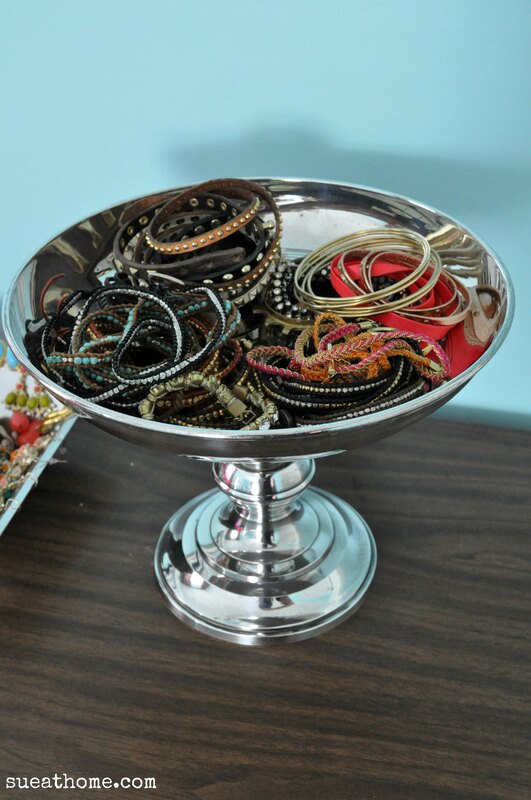 In the compote are most of the smaller wrap bracelets that I wear often. And there’s more, kids. 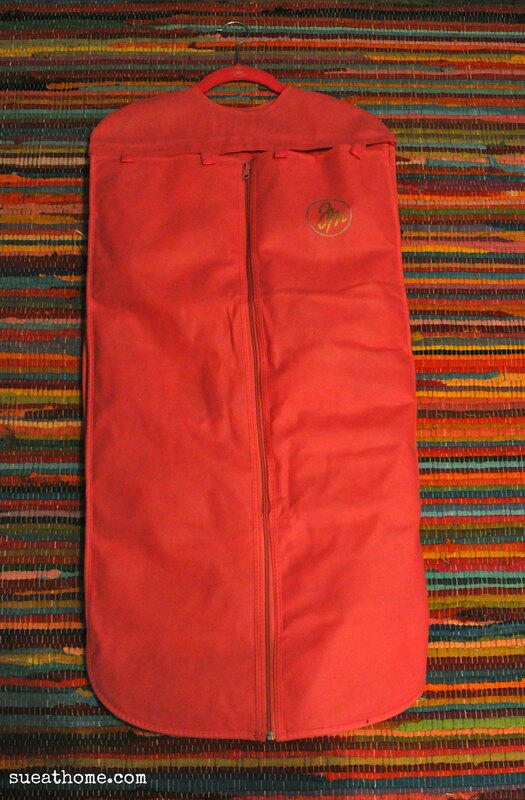 It folds, zips closed, and hangs on a hanger. GENIUS! Of course, since I have no closet space and what little space I have is pitch black (with only a flashlight hanging from a ribbon to guide me…I. KID. YOU. NOT. ), I hung this divine invention in my walk-up attic where a quick trip up the stairs can offer me a bunch of options. 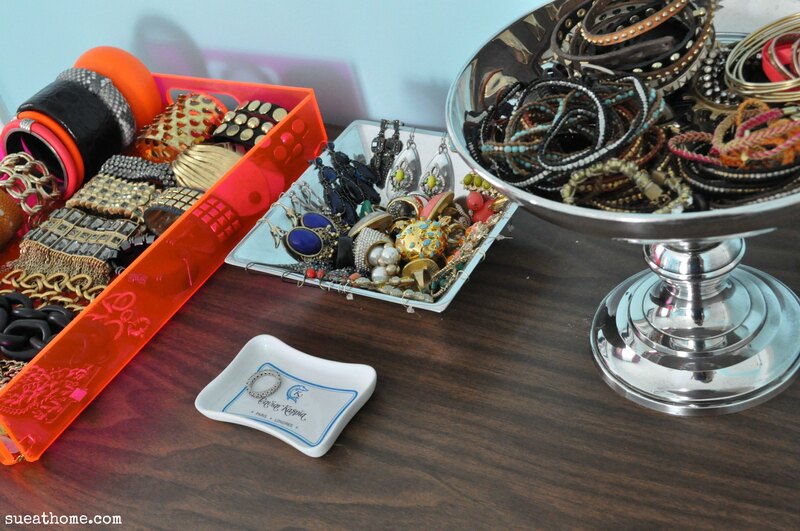 Make sure you read tomorrow for my necklace storage DIY! Love the end result! 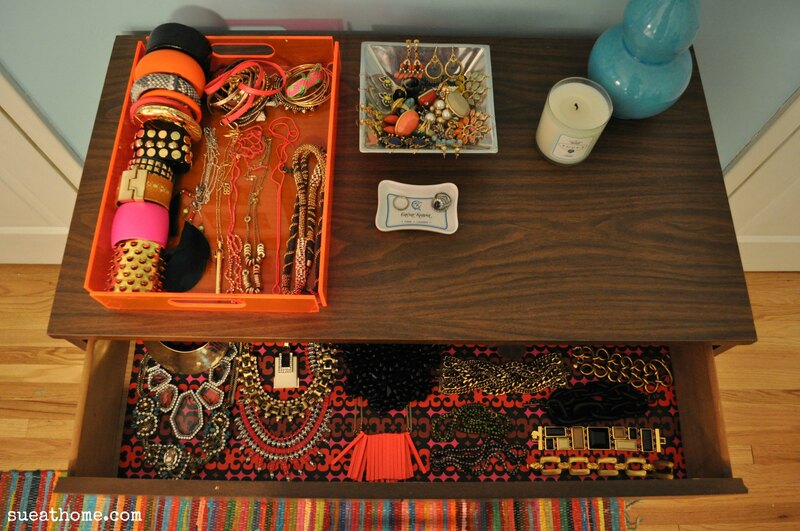 I think displaying jewelry makes getting ready a little more fun! I use a lucite cake stand to display my favorite pieces. I need a picture of that! Love me some lucite! !